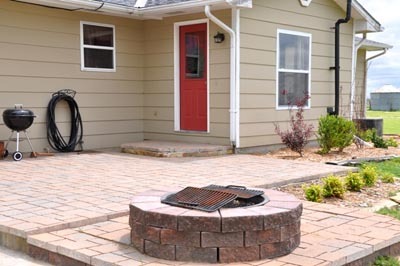 I wanted a ChEaP and EaSy way to decorate my back porch for the holidays. Here is what it normally looks like! 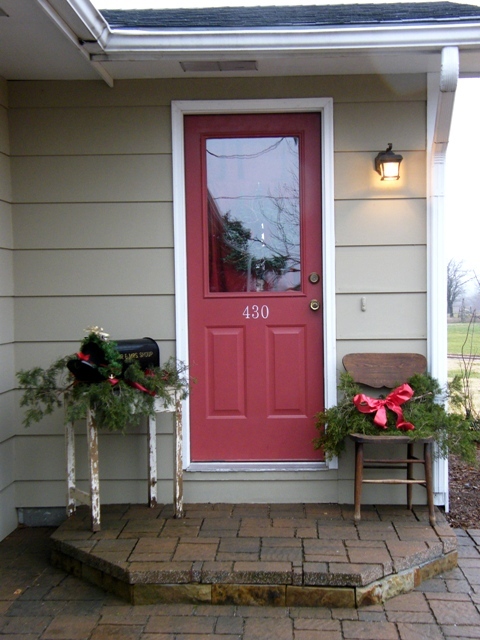 I trimmed up our cedar trees for some FREE decor and added some extra ribbon I had around the house. The chair and white table were found in my basement and I used some leftover stencils to paint the numbers on the door. What do think of the traNsformAtion? A few years ago I decided I didn’t like the look of the back of my upper cabinets. 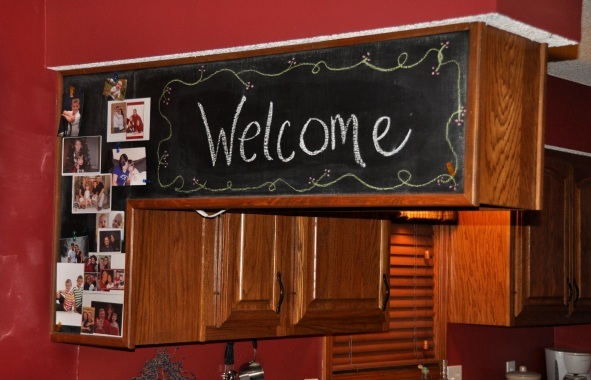 So…I bought Rustoleum Magnetic Paint and Chalkboard Paint. I applied the magnetic paint with a brush first, let it dry, and then applied the chalkboard paint. Now it is a place to hang pics and cards as well as write messages to our family! 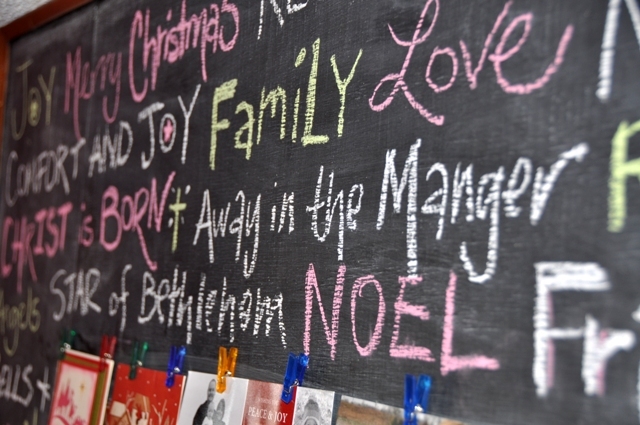 And for the holidays, it can really add CoLoR to the room by simply using different colored chalk! 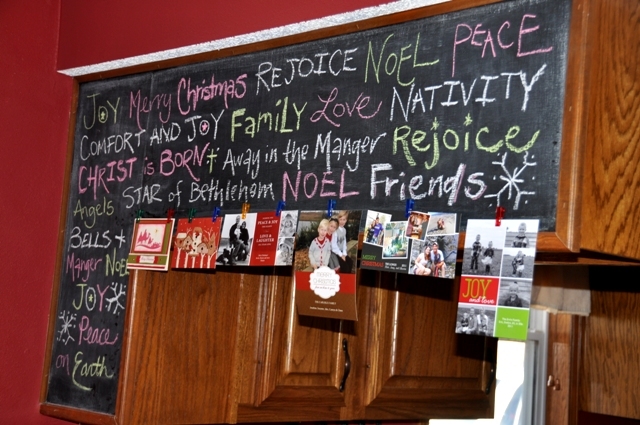 I will need to clear some more space as we recently received much more Christmas mail to display! 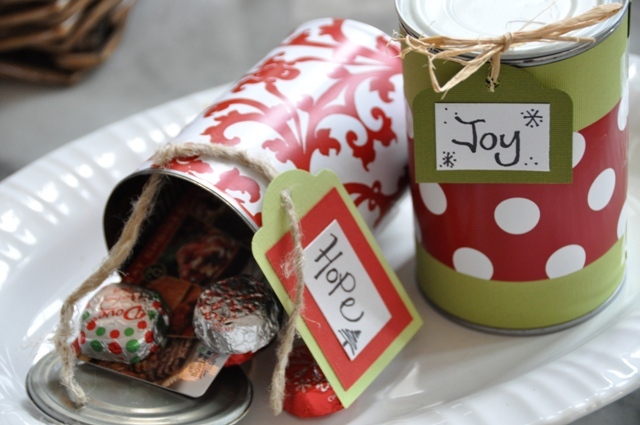 Need an ineXpenSive way to wrap a gift or gift card? Check this out!! 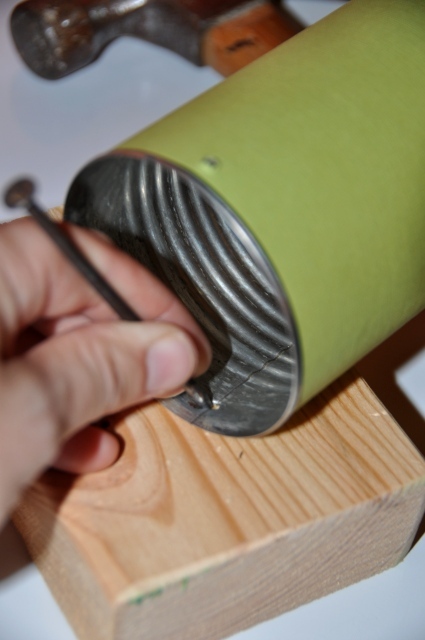 Use jute rope, string, ribbon, or whatever you pRefeR to secure the top of the can. I also spray painted some of the tops of the cans white (if you want to hide the aluminum)! 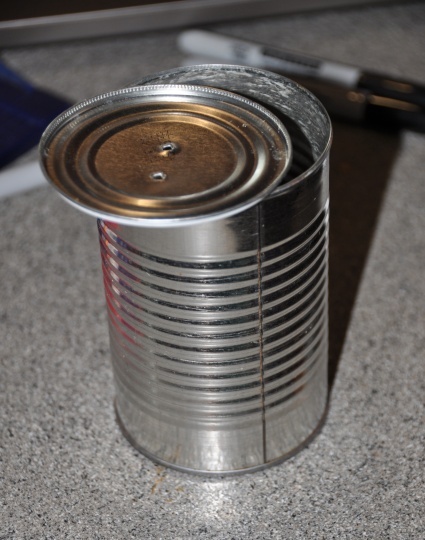 There are so many different ways to make these cans, so have fUn with it! I use double sided sticky tape to attach the paper. If you match your paper no seam shows. 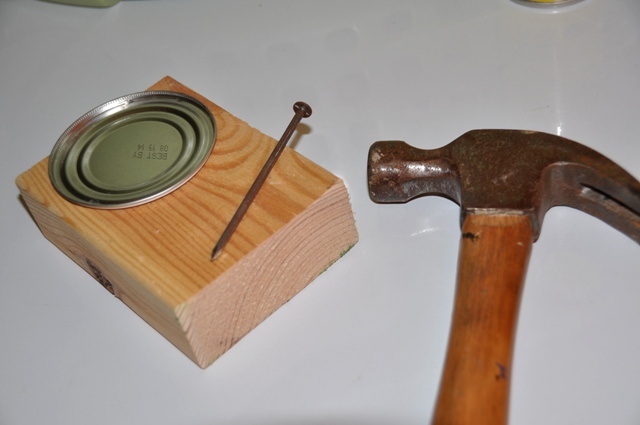 love this idea, The short pringles cans make good ones too. I love your ideas. Keep them coming. By the way take a look at Erica’s blocks that she covers with papers using her Cricut and “Close to my Heart ” stamps and papers. Thanks! Where can I look at Erica’s blocks? I want see them!! she has some posted on her facebook page. That looks AMAZING Lara!!! Great job!! Here’s wishing you and yours the very Merriest Christmas of all and a blessed New Year!